There comes a time when you can no longer depend on your brain to remember everything you need to do, including who you need to call, email, meet with, etc. As I’m sure you know, the list goes on, and on…and on. Today’s business landscape demands companies to act fast and be incredibly agile in their business strategies and processes (read my post on organizational agility). Here is the thing, to remain competitive in today’s evolving business environment, you just have to have a strategic plan in place for acquiring new customers and retaining current clients. There comes a point or inflection point in your business where you can choose to move ahead or fall back. Here are five signs that you are at that point of no return – those signs you are ready for CRM. There is nothing more frustrating than losing leads right before the point of sale. Without a CRM system, you are most likely misplacing or losing important data about your leads. Keep track of where your leads are in the sales process and when they are expected to close with CRM. If your lead has gone through three out of four stages of your sales funnel, chances are there is a good chance for conversion. But, if you are not on top of your follow up, you might just lose that sale. Relying on spreadsheets, sticky notes, and our own brain, can oftentimes result in lead slipping through the crack and therefore lost sales. Don't miss a beat when you implement CRM. As the name suggests, a CRM’s main function is to maintain relationships with current customers – hence Customer Relationship Management. Once your client base grows to a certain level, there is not enough time in the day to manually keep track of each contact and their interactions with your brand. When your existing clients begin to drop off, you need to change something about your customer experience. CRM with an integrated ticketing platform enables businesses to quickly track and respond to customer issues. Routine follow ups are also critical for maintaining relationships. Only a CRM fully equipped with workflows and sales force automation ensures a consistent customer experience. It is harder to acquire new customers than maintain the ones you already have. The best way to get new customers is to evaluate your sales processes with existing customers. If you don’t know how your leads are engaging with your brand throughout the sales funnel, then how do you know what is working and what is not? You don’t. A CRM stores every interaction a lead and client has with your brand, from watching a video, downloading an ebook, to signing up for your newsletter. 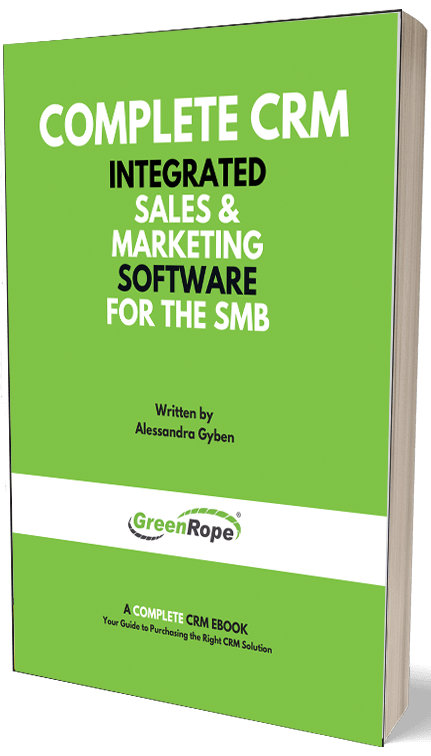 This data is becoming increasingly important, so do not overlook an integrated CRM and marketing automation platform. One of the biggest business trends we will see in 2016 is the integration or alignment between sales and marketing. Marketing has always been an important role for lead acquisition and management, and it is even more true today. Data means everything when setting up your sales process because it is the best way to identify your brand’s strengths and weaknesses with your leads and clients. What is resonating with your audience and what is falling short? An integrated CRM links to your marketing efforts, giving you a full view of your lead and customer engagement. The best way to target more qualified leads is to sit down with sales and marketing, look at the data surrounding your incoming leads, and see how it affects conversions. You can also use this data to better segment and target your marketing and lead nurturing campaigns. If you have a strategy with measurable goals in place, then it is probably time to start shopping for a CRM. As you can see from the above points, it can be detrimental to your business if you wait too long to implement a CRM. If you are experiencing any of these four signs then you it’s time to start looking!